Grant-makers, donors, impact investors and development financiers must combine to leverage the $33 billion funding that energy enterprises require to meet Africa’s basic energy needs by 2030. Larger, more agile “blended” finance vehicles – providing early-stage funding at the right time at the right scale – are needed to enable this. The Portuguese city of Lisbon, sun-drenched and steeped in history, is one of the world’s oldest cities and provided a fitting stage for the UN’s Sustainable Energy For All (SE4All) summit this May. It was a chance for the leading lights from the off-grid energy sector to discuss the evolution of solar power and the continued reliance by over three billion people on pre-historic fuels such as wood, charcoal and dung, or expensive kerosene and diesel. Renewable energy delivered by private enterprises – manufacturers of household solar products, mini-grid developers, clean cookstove companies – is driving major social and economic change for some of the world’s lowest-income communities. We met with donors, investors, entrepreneurs and civil servants, to brainstorm ways to expand this market. Interestingly, there was strong alignment around the recent research from Catalyst Off-Grid Advisors which Shell Foundation had supported, estimating that $33 billion of commercial capital is needed to fund the growth and replication of existing solutions to serve the 650 million people who currently lack modern energy services. Without this capital injection, their ‘business as usual’ scenario points to Africa missing its SDG7 target by over 100 million homes. The intensity of (audible) interest in off-grid enterprises from development banks, corporates and investors would suggest that $3 billion investment a year is an achievable target. On the other hand, as was clear in Lisbon, the current off-grid sector would struggle to absorb that level of funding without a far higher provision of early-stage grant and concessional finance (repayable and convertible grant, loan guarantees and impact-first investment) running alongside it. Catalyst estimate that over $1 billion of softer early-stage support will be needed to generate a pipeline of companies that are attractive to mainstream funders. The paucity of early-stage support available for energy enterprises has been recognised for many years, constraining innovation and improvement in unit economics across the supply chain; though many grant-makers are weary of displacing capital from impact investors and DFIs who have made commitments to the sector. Even companies such as M-KOPA, d.light and Husk, who have attracted commercial capital and are growing quickly in certain countries, are likely to need substantial ‘impact first’ investment on softer terms to develop products for lower-income customers or to reach frontier countries in West and Central Africa, both of which are essential to meet SDG7. The reality is that most young energy companies targeting low-income consumers find the current cost of capital unduly prohibitive. 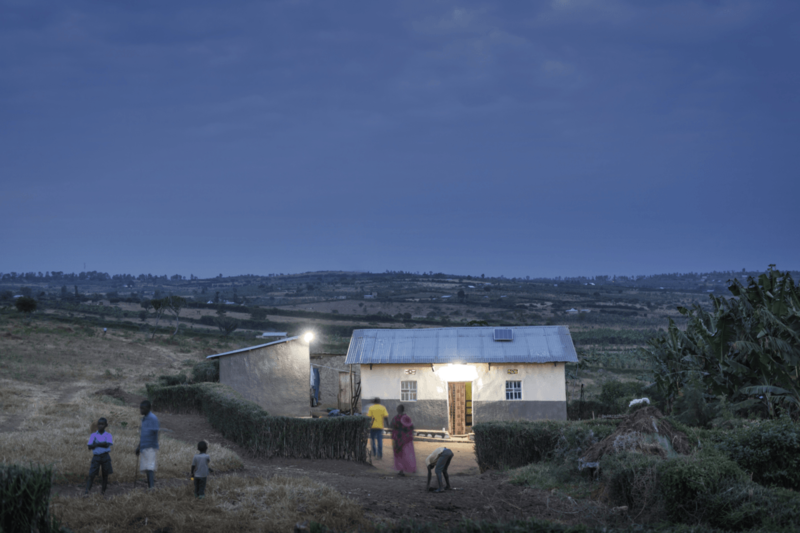 At this early stage, they are generally high-impact, low-margin businesses that would do well to deliver single digit returns – such as mini-grid developers who provide 24-hour power to customers earning less than $4 a day. In recent years, Shell Foundation has supported the development of new products to draw capital into the market (for example through Lendable, CrossBoundary Energy, GroFin, the Aavishkaar Group or the responsAbility Energy Access Fund), and we are encouraged to see pioneering new funds from SunFunder, CDC and the African Development Bank launch in recent months. Major gaps in the capital continuum persist. Growing enterprises that are not yet profitable cannot access affordable debt; investors require higher return than most entrepreneurs can deliver; equity is often used in ways that run contrary to innovation and long-term growth. Most fast-growing firms need to raise multiple rounds of up to $5-10m from a relatively small pool of willing social investors with limited resources. Solving these challenges will require a smarter and more systemic deployment of grant and impact capital over the next three years. Failing to crowd-in mainstream investors by that point will severely compromise the 2030 targets. We see two main funding gaps. Firstly, risk tolerant, patient capital to finance an enterprise whilst it is still validating its product, service or business model and finding its product/market fit. Secondly risk tolerant growth capital to enable growth once this has been achieved. Through the Scaling Off-Grid Energy Challenge Shell Foundation, USAID, DFID and a host of partners including the AFDB have been working to find solutions to both. We believe that a new breed of financial vehicle that targets early-stage enterprises is required, delivering differentiated social and financial returns to investors with varied risk exposure. This allows larger investors to participate earlier and to build confidence in off-grid markets over time. One particular concept which will help to fill this funding gap is now ready to launch. The Energy Entrepreneurs Fund (EEF) will invest in fast-growing yet pre-commercial energy companies that serve low-income consumers such as SHS companies, manufacturers of efficient appliances like refrigerators, or distributors of irrigation systems. Co-created by Shell Foundation, DFID and FMO, and managed by Triple Jump, the EEF will close at $50 million and deploy mezzanine debt – a non-dilutive instrument better suited to businesses that are still iterating on their model. Additional business support from off-grid market experts will prepare enterprises for commercial investment by strengthening governance, systems and processes, while allowing the EEF to take higher risk and maximise the chance of success. The aim is reduce the time CEOs spend creating complex capital structures with misaligned investors. Swift deal flow will be essential – with many current lenders spending months assessing possible deals, stoking optimism in entrepreneurs before pulling out on short notice. Selling risk to social investors, in exchange for impact, enables the participation of larger financial institutions who generally lack the capacity and proximity to make small investments in a high number of enterprises, as well as the flexibility to choose instruments that match growth stage, geography and sector maturity. The presence of first loss and concessional capital means senior investors do not forego return or liquidity despite the higher transaction costs of these deals. Shell Foundation is excited about the EEF not only because it meets a clear market demand, but also because it illustrates how foundations and DFIs can blend their finance to help achieve SDG7. We expect EEF to launch later this year, based on positive early interest from DFIs, multilaterals and impact investors. Larger funding vehicles will also be needed to support enterprises who have achieved unit profitability yet need to build a longer-track record to attract risk-averse commercial investors. We believe there is a need for a $100 million investment vehicle with the ability to provide successive rounds of investment into enterprises (up to $15m), using a range of debt and equity instruments over a 12+ year time horizon. Shell Foundation is exploring the possibility to anchor such a vehicle, which would take a holistic approach to deal-making that de-risks solutions across the value chain, building a more robust off-grid market as a result. Our goal is to make this operational by 2019. From the perspective of venture philanthropists and early-stage investors, blended finance vehicles provide 20:20 visibility on leverage. For example, the $2 million first-loss tranche Shell Foundation provided to the responsAbility Energy Access Fund has underpinned $32 million investment to-date. Likewise, SunFunder has leveraged junior investment from Facebook and Rockefeller Foundation 11 times over in their blended funds. This is just the start. Innovation is urgently needed around distributor/inventory finance, consumer finance, credit assessment, data aggregation and results-based finance – areas of intense interest for Shell Foundation and our portfolio of pioneer off-grid enterprises. Effective financial vehicles will need to grow rapidly and replicate to achieve universal energy access in Africa by 2030. This may create a quandary for foundations in coming years, as knowing where to stop innovating and simply scale or copy existing vehicles will pose a strategic challenge to many grant-makers. Today though, as we reflect on the SE4All summit, there is a need to create, test and prove blended capital structures that target early-stage energy entrepreneurs in Africa – and that is a sufficient challenge for now. Solving this quickly will be key to delivering sufficient energy for inclusive growth and access to healthcare, education and jobs across Africa within just 12 years. Shell Foundation is an independent UK registered charity that catalyses enterprise-based solutions to global development challenges. Our independence is key to our ability to deliver our charitable objectives and is maintained in a number of ways.